Deptford NJ Real Estate Info is all about helping you gather good information to make your best Real Estate decision. This area is well know for it's very large mall - Deptford Mall. However, it is very convenient to many areas of NJ, Philadelphia, the NJ Turnpike, the Jersey Shore, Atlantic City, etc. 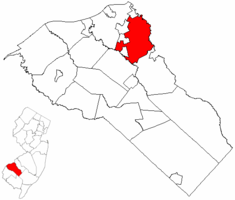 Below the map are various website links to information about Deptford NJ.